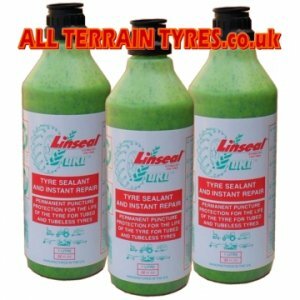 Linseal OKO is the leading brand of tyre sealant and puncture preventative. 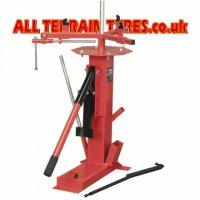 It seals holes and prevents flat tyres. Buy in a case of 12 bottles for even better value for money - perfect for shops, dealers and other resellers. The 1 litre bottle comes with a valve core tool and integral filling spout. Linseal OKO liquid tyre sealant is specially formulated to seal punctures instantaneously in the tread area of all types of tyres, thereby eliminating the problem of tyre deflation. This item is delivered FREE to any U.K. mainland address! Linseal OKO liquid puncture preventative is the worlds first fibre and latex free tyre sealant. The puncture sealant is a secret mixture of thixotropic compounds and recycled rubber. Following years of rigorous testing the sealant has proved 100% successful in both tube and tubeless tyres. The new sealant is much less viscous than it's predecessors making installation much simpler and quicker. After application, a reservoir of Linseal tyre sealant will sit in the bottom of the tyre. When the vehicle is in motion OKO puncture seal will coat the inner surface of the tyre, ready to seal any puncture hole. When an object punctures the tread area of the tyre, air pressure forces the Linseal product into the hole where the tyre sealant is compressed to form a permanent airtight seal. The sealing action is virtually instantaneous and minimal air pressure is lost. OKO will provide an instant repair to multiple punctures so your vehicle remains fully operational for longer, even in harsh environments. The reduction of costs is a major priority of every business in the current credit crunch. Users of Industrial, Construction, Agricultural and Local Government vehicles should all be monitoring and attempting to reduce unnecessary downtime costs. If a punctured tyre is is allowed to run flat, the tyre structure will be damaged seriously, quite possibly beyond repair. Then there is the problem of downtime - A flat tyre may take between 2 and 4 hours to repair in which time the machine and it's operator are doing nothing, not forgetting the associated call out and labour costs from the tyre repair company. Linseal OKO tyre sealant can offer protection against flat tyres often for about the same cost as a new inner tube. The average total cost of equipping a four wheeled vehicle with OKO can be recouped when just one puncture has been sealed. We have been distributors of puncture tyre sealant for more than 15 years, selling it to Tyreshops, Garden Machinery dealers, Agricultural outlets and Local Councils, and can wholeheartedly recommend it simply because once our customers buy it, they usually come back for more!